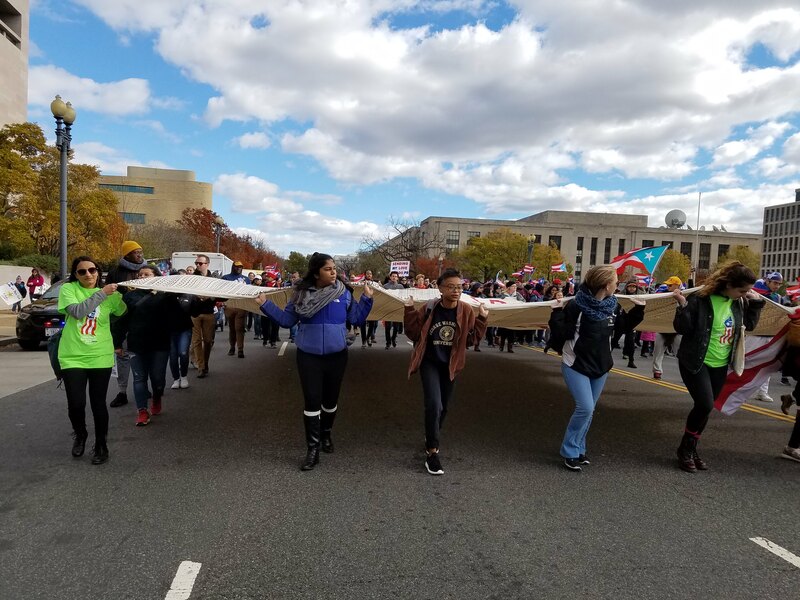 Sixty days after Hurricane Maria hit the island of Puerto Rico, a rally gathered 1,560 miles away in Washington, D.C. 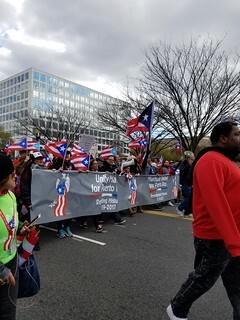 The march was in support of the island that has been struggling to rebuild since the category 5 hurricane hit Sept. 20. 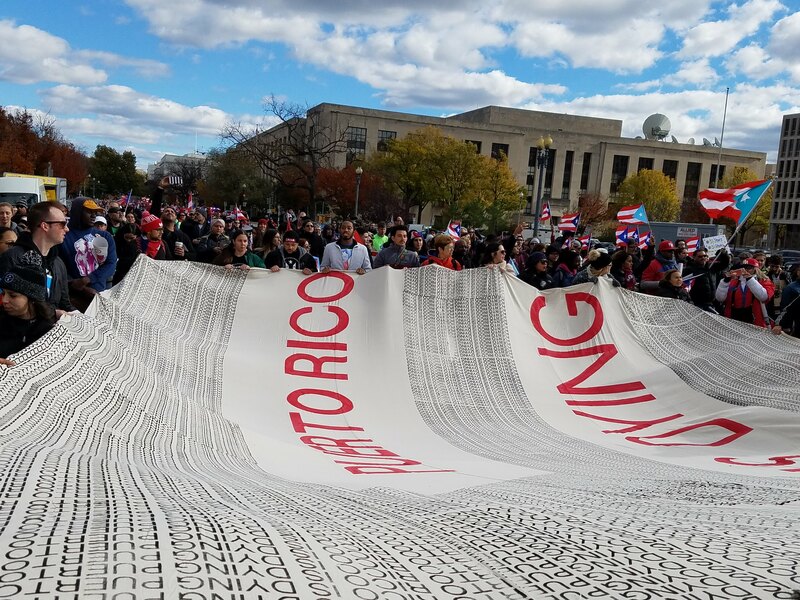 Thousands gathered in support of five demands for the island: the same care and response the government gave to hurricane stricken states, the elimination of the Jones Act, forgiving Puerto Rico’s debt to the United States and rebuilding Puerto Rico’s infrastructure with innovation and durability. The Jones Act restricts the delivery of goods between U.S. ports to vessels that are made in the U.S. and operated mostly by Americans. The administration’s slow response to Puerto Rico after the hurricane led to a greater demand of representation of Puerto Rico in the U.S. government. Puerto Ricans are United States citizens, but cannot vote and have non-voting representatives in Congress. 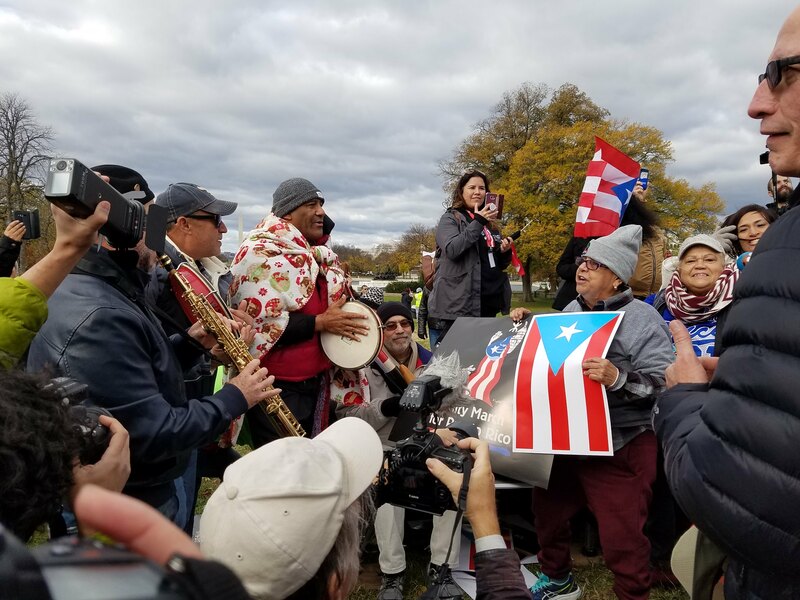 Darlene Elias, the co-chair of Massachusetts for the Green party, demanded the end to the “colonial status” and advocated for Puerto Rico to govern itself stating “Puerto Rico will not be the next Hong Kong.” Evelyn Mejil, the national organizer for the march, said the people of Puerto Rico need the justice they deserve. 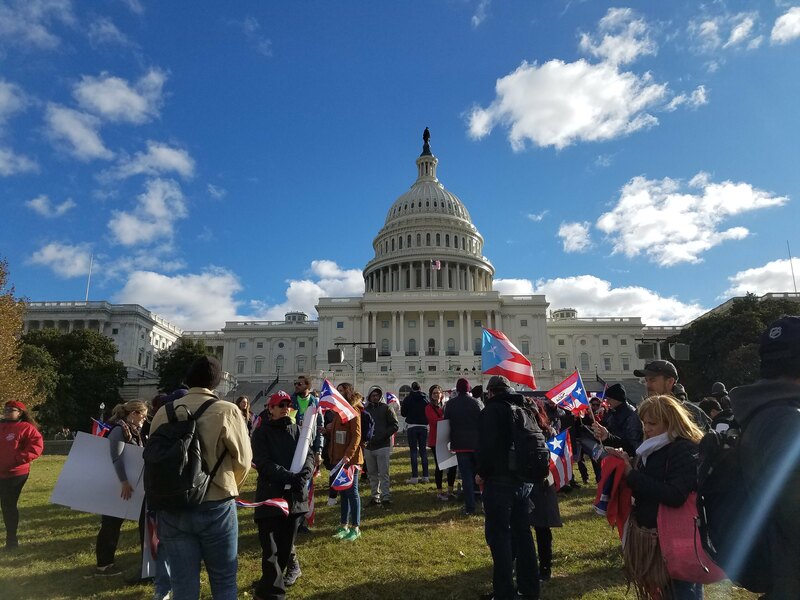 Bernie Sanders’ (I-VM) representative at the march, Jeff Cruz, said Sanders will be introducing “comprehensive legislation” for the people of Puerto Rico. Cruz said Sanders believes the U.S. needs to “double, and even triple, the investment in Puerto Rico” and forgive the Puerto Rican debt. The debt was also mentioned by the U.S. representative for Illinois, Louis Gutierrez. He said he believes the “debt comes from the colonial relationship” between the two countries. 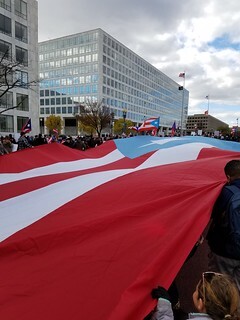 A pastor who spoke at the march said, “we [Puerto Ricans] feel invisible” and the help has been “delayed, deferred, and mismanaged.” The speakers and marchers called on people in the U.S. who can vote to be the voice for Puerto Rico, and lead the fight in making the territory country an equal to the United States. For most this is the first step in their fight for Puerto Rico, but not the last. Sarah Jacobo is a freshman journalism major and can be reached at sjacobo@terpmail.umd.edu. Next PostThanksgiving Horoscope: Which Thanksgiving Food Are You Based on Your Zodiac Sign?